l The forging gear is strong and durable; the mount with double strengthened steel bar makes driving power safe and reliable. l The switch adopted new sealed design and assembled by company&rsquo;s professionals thoroughly clear up bad hidden trouble. l Strict check of all parts and complete machine has ensured that quality of every product is best before leaving our factory. Product Strength Easy start Very low noise Compact and lightweight Low fuel consumption Application Easy for Small Engineering Construction Excalibur Advantage Certificates Our Service Our Service Guarantee Everything you buy from us is guaranteed for a minimum of 12 months. If during this time a fault develops then we will replace it free of charge, repair it or refund your money in full. Free advice If you are not sure what you need or you can't find particular product--call us we are here to help you; we will also provide technical support and a free site vist to discuss your requirements. 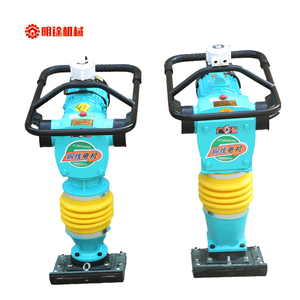 Construction Road Portable Tamper Vibratory Electric Compactor Tamping Rammer Quick Read: 1. Two types: Electrical and Gasoline 2. Heavy shock mount system to reduce hand-arm vibration and improve comport 3. Low gravity design makes more stable operation 4. Rammer shoe made of steel plate with wooden insert offers economical usage 5. 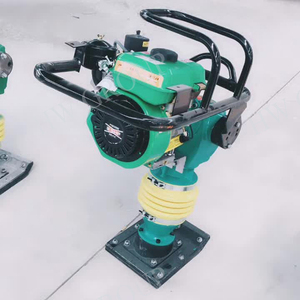 Flexible,easy,safe and reliable operation Application: Adapted to the construction of buildings, ground, embankment, bridge piles, trenches, field, narrow space and water conservancy project, capable of medium-sized machinery can not complete the task. Technical Parameters Model HC80 HC90 HC100 HC110 Power 2.2KW 3 KW 3 KW 3 KW Take off height 40-60 mm 45-70 mm 45-70mm 45-70mm Impact energy 5.6N.m 6.5 N.m 6.5 N.m 6.5 N. m Advance speed 10-13m/min 10-13m/min 10-13m/min 10-13m/min Impact frequency 460-650 times/min 460-650 times/min 460-650 times/min 460-650 times/min Plate size 300X280mm 300X280mm 300X280mm 300X280mm Weight 70kg 80kg 85kg 100kg Packaging & Shipping We will protect machines well by its package----wooden boxes. Henan Kingwoo Machinery Equipment Co., Ltd.
2. Large closed air filter system, easy to clean, the engine is not easy to damage. 3. A special silencer can reduce the noise generated by the engine and the backplane to the operator. Our products are widely used in bulk material handling industries including mine power generation cement. Product overview: Applicable with all kinds of sand ,gravel , tri-soil compaction , also applies to the compaction of the asphalt gravel, concrete and clay. 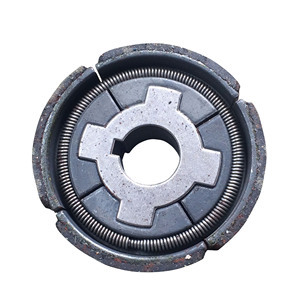 Product features: 1.Small size, strong compaction capacity , high production efficiency. 4. Iron plate reinforced plywood plate has good pressure and impact resistance. 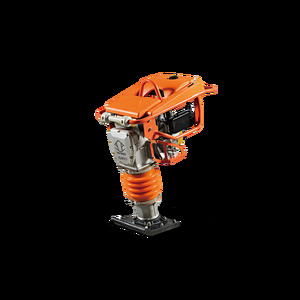 Alibaba.com offers 1,466 electric rammer products. About 74% of these are rammers. 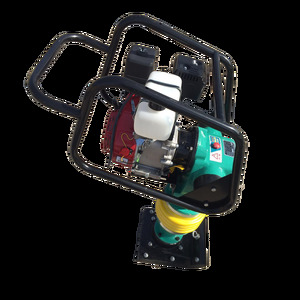 A wide variety of electric rammer options are available to you, such as paid samples, free samples. 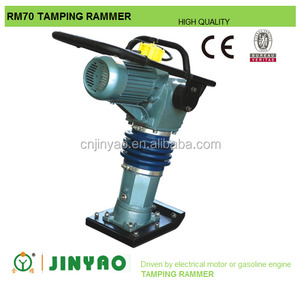 There are 1,470 electric rammer suppliers, mainly located in Asia. 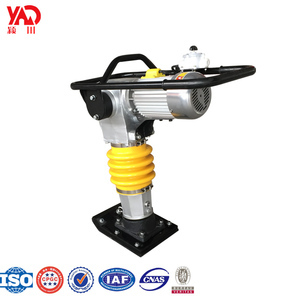 The top supplying countries are China (Mainland), India, and United States, which supply 99%, 1%, and 1% of electric rammer respectively. 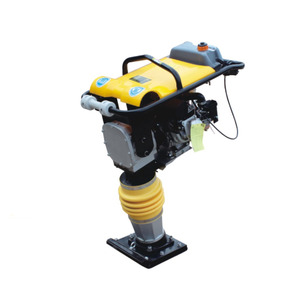 Electric rammer products are most popular in Domestic Market, South Asia, and Mid East. You can ensure product safety by selecting from certified suppliers, including 443 with ISO9001, 154 with Other, and 19 with ISO14001 certification.